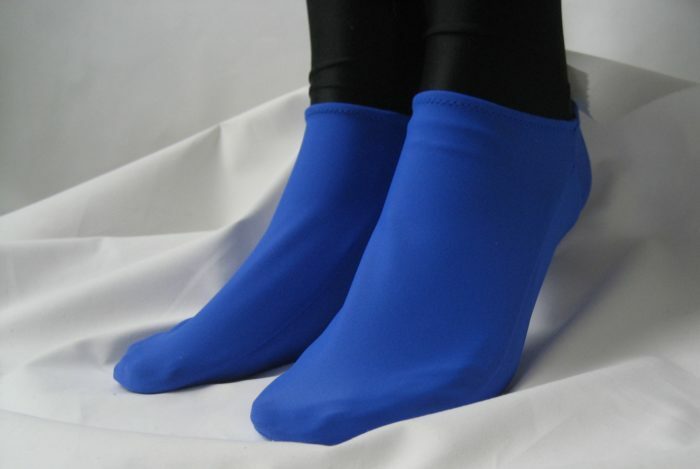 Low Cut Sock to wear alone, or as protection over your zentai or costume feet Can be made from any of our fabrics to match or contrast your spandex suit or costume. 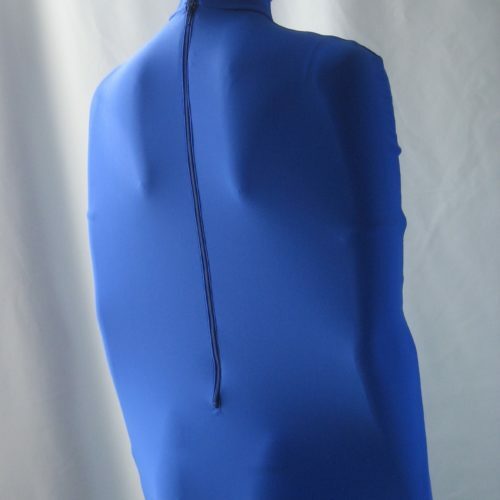 Shown in Royal Blue Spandex, our Footies features sewn elastic opening. 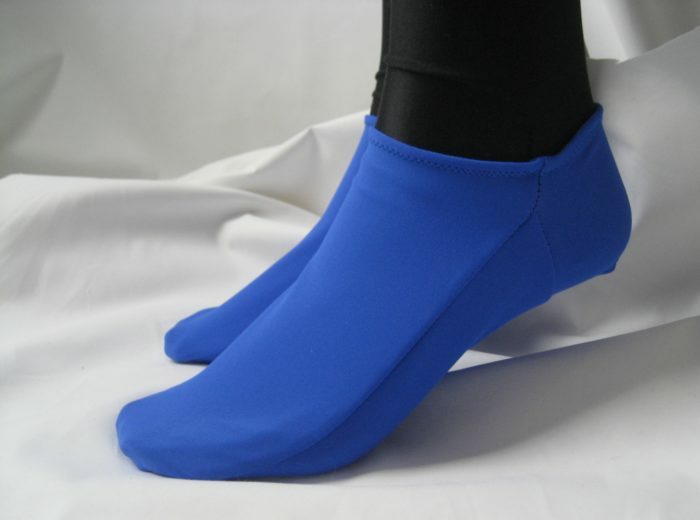 Sold by the Pair, Pricing starts at $9.95 for Footies in regular spandex fabrics.